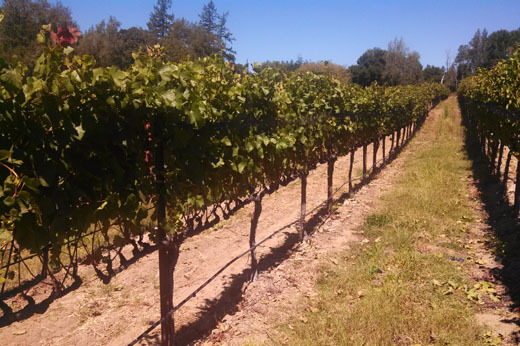 It must be extremely boring for the average reader to see shot after shot of vineyard scenery, but it is hard to kick the habit. 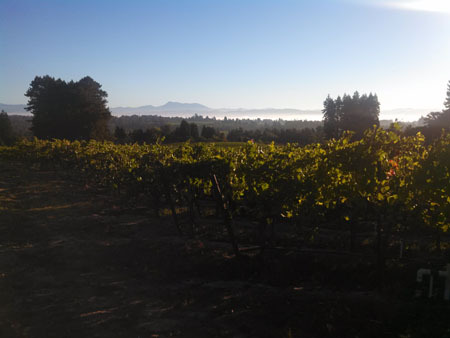 This is a typical morning during harvest - get up, grab coffee, head to vineyard, stand agog at the crystalline serenity of nature's perfection, grab sample, repeat. My phone is literally full of these types of shots, but they of course never convey the feeling of being there or the excitement and potential of walking through a vineyard almost ready to be picked. Today was a busy one. 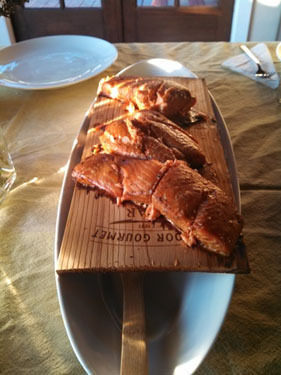 I am going to have to describe it in pictures. 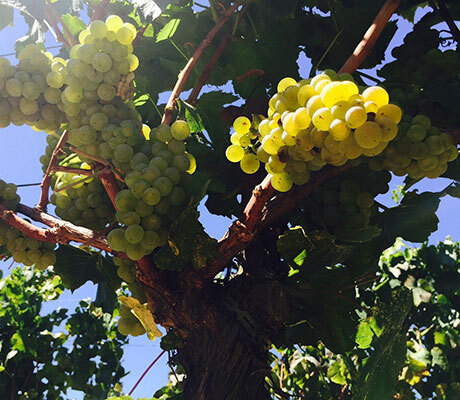 This photo: a growers dream - a freshly picked vineyard before September! 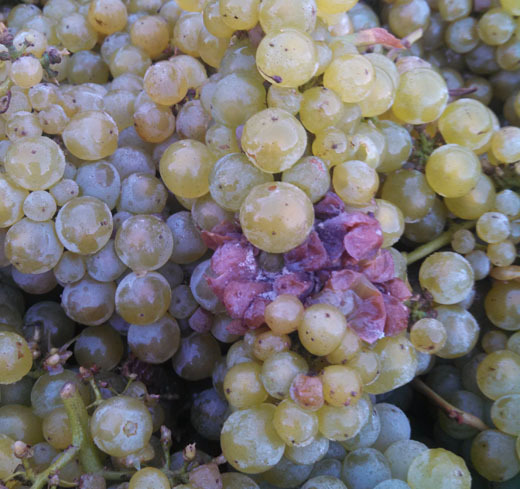 Botrytis, the silent killer. Aka, noble rot when found in high quantities. 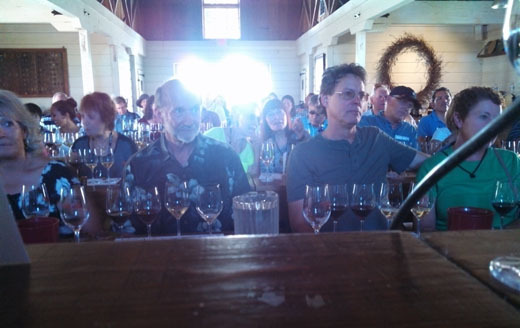 Did a wine seminar today at Sonoma Wine Weekend focusing on Sonoma Coast wines, poured Charles Heintz Chard. Here's a view from the podium, some great questions! 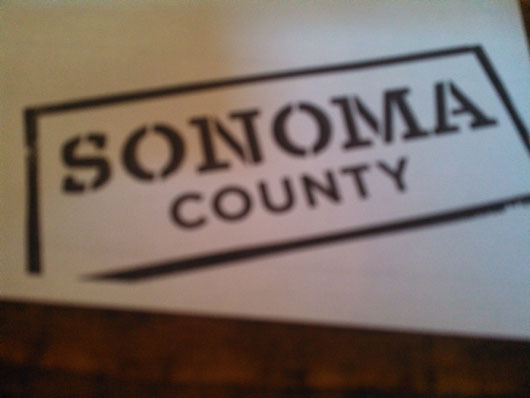 Proud to live and make wine in Sonoma County! 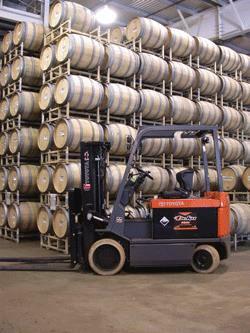 No tool of the winery is more overlooked or under appreciated than the forklift. And yet is a hugely important part of winemaking – from unloading freshly harvested grape bins off of the delivery truck, to dumping whole cluster Chardonnay into awaiting presses, to lifting tanks of fermenting Pinot Noir to be drained via gravity, the forklift does it all. In addition, every winemaker I know prides him or herself on their forklift skills, and is not afraid to brag about them. I used to work for a cellar master who boasted of being able to pick up a quarter with just the tip of the forks. How you ask? I don’t know, he wouldn’t show me. As you all know, harvest is a very busy time. As the workload swells, so too does the team. I would like to spot light a few of these stalwart individuals who toil endlessly in the pursuit of quality, starting with this year’s lab intern Cayla Dee Porter. 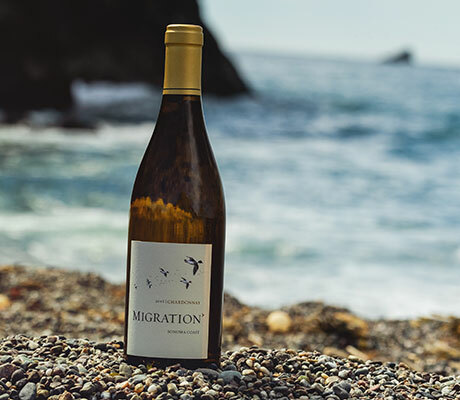 Having been an intern many times myself, I understand how truly challenging it is to work extreme hours, mostly for the opportunity to learn about the winemaking process. Cayla Dee hails from Orange County California with a major in Environmental Studies and a concentration in Chemistry. 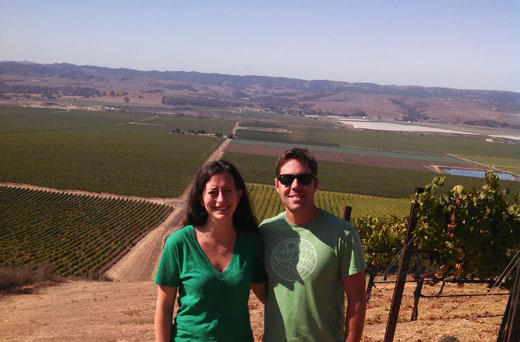 Her first experience with wine was as a sales associate in a wine shop in Costa Mesa. She has a twin sister named Shelby Lee, and loves eating raw jalapeños. 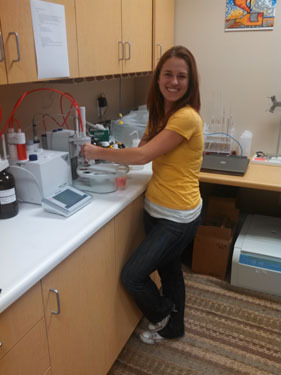 She is working in the Sonoma County lab, and will be a critical part of the winemaking process, providing much needed analysis throughout harvest. Friday was the first day of harvest. 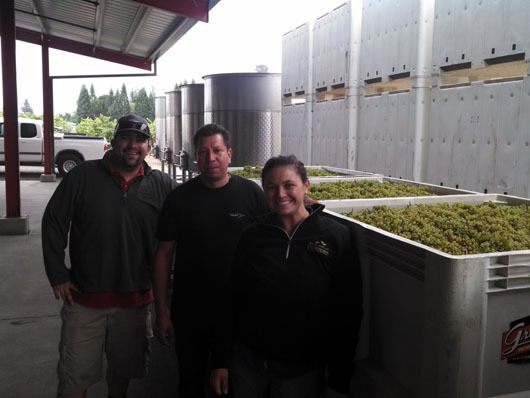 We picked 13.77 tons of Russian River Chardonnay from the Farrow vineyard in Windsor, and it tastes amazing! 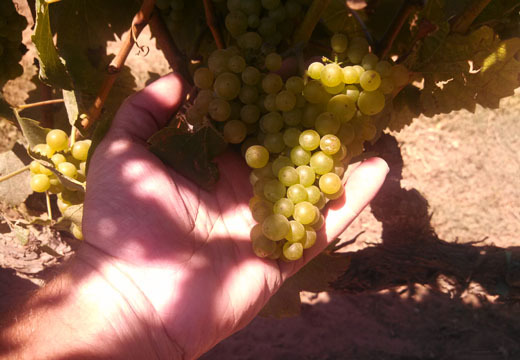 Aside from being extremely delicious, harvesting RRV Chardonnay on 8/23 sets a personal record for being the earliest harvest in my 15 vintage career. We have really had a rollercoaster over the last five years, with each vintage being significantly different. As an example, take a look at the degree day information below, which is the sum to date of hours that different parts of Sonoma County fell within key ripening maximums and minimums. Essentially the higher the number the more hours of ripening that area has experienced. Look at the variance across the past few years. 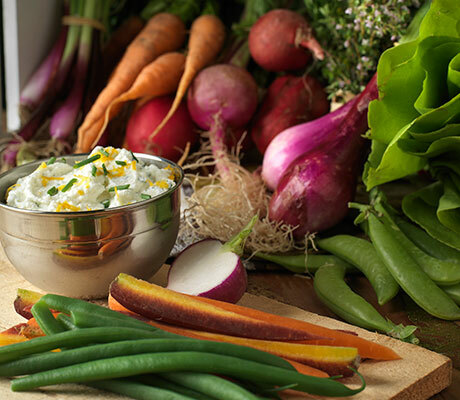 To put these differences into real terms – we started the 2013 harvest one month earlier than the 2011 harvest! This is also an interesting look when thinking about what varietals are growing where – Cab in the Alexander Valley (avg 1927 GDD’s) and Pinot Noir and Chardonnay in Graton/Green Valley (avg 1374 GDD’s). 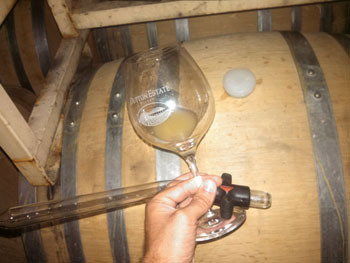 Day 1 at the winery. Look at how tiny those berries are! 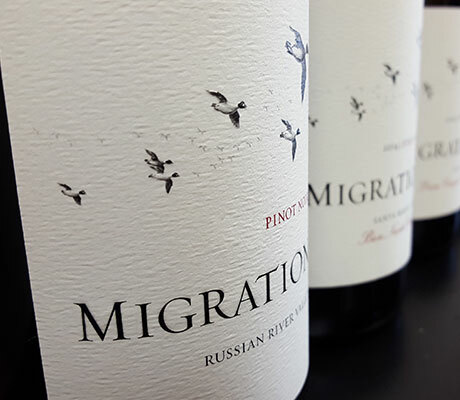 Bo Felton, the Migration Assistant Winemaker and the winery crew.